Our expert Technicians provide piano voicing, keeping the sound dynamic and even across the piano. 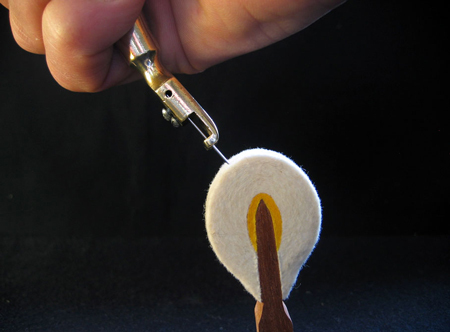 By adjusting the shape and density of the hammer felt it is possible to change the sound of a piano. Over time the surface of the hammer hitting the string hardens and becomes flattened, and the sound dulls. We are able to adjust and even the tone of a piano as directed by the customer.